I had an amazing time photographing Kristina & Kyle’s engagement photos in Chicago! We started our session on Friday while the city was gloomy and foggy – although you wouldn’t know it since they look so springy. In the morning we went out for more photos in hopes that we could see the city scape since the fog covered half the city the day before. It was raining but at least we could see the city. By the time we got into the heart of the city it was raining harder but nothing we couldn’t deal with under umbrellas. We were itching to take more photos so we ended the session at the new Restoration Hardware store. RH has some lovely light and unique set ups. Kyle gets a gold star for letting us shoot so long without any complaining. I also found out that Kyle got voted “best eyes” in high school, which led me to take the last photo. Congrats you too, I can’t wait for your wedding! And an extra big thank you for being so hospitable while we were in Chicago. Erin was simply a dream to work with! We truly received an above and beyond engagement photo session experience, and I am so thankful that she was up for the ride. 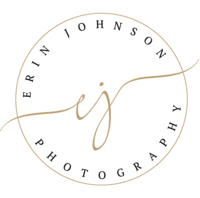 Erin was extremely professional and willing to do whatever it took to get the best shots, while also keeping things relaxed and fun (as mentioned, Kyle didn't complain ONCE in 5+ hours of shooting!) I'm so thrilled that there is a mix of unique photo journalism type images, as well as a few traditional ones with us facing the camera to have forever. We definitely want both types to be captured during our wedding, and I am absolutely 100% confident that Erin will deliver. We can't stop going through the reel and can't WAIT to work together again in November! Thank you for everything! The food and service at this place were spectacular. I was at an amazing event here recently. The event at DC wedding venues was outdoors along the water and against a beautiful sunset. As the party moved indoors, I was struck by the decor. One thing that was great about this place (and that allowed us to plan it in a short timeframe without losing our minds) was that food, alcohol and rentals are all in house so no extra vendors to deal with. Also the view from NYC wedding venues was amazing! Everyone at this flower delivery service was really professional and friendly. The flowers were beautiful and well thought out. I'd definitely go back to BloomThat Flower Delivery and use them again to send thoughtful bouquets to my clients. The prices were very reasonable, and the flowers were very high quality. I have used them twice now for gf birthday flowers, she loved them both times. Couldn't be better. Florist Delivery Staff is very professional, and very courteous.